When we last looked at Fort Ticonderoga Col. Benedict Arnold and Col. Ethan Allen captured the fort in May, 1775. 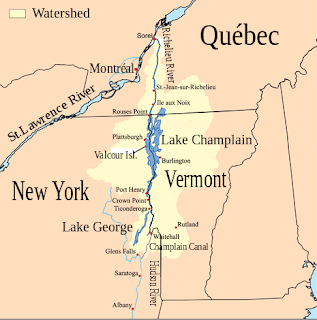 They then occupied all of Lake Champlain, as far north as St. Jean at the northern end of the lake, in Canada. There, Arnold captured the British dockyard and commandeered the largest ship on the lake. He sailed it back to New York before British General Guy Carleton could get his regulars to recapture St. Jean. Following that success, the politicians and armchair generals in Philadelphia, Cambridge and New Haven, sent a series of confusing and contradictory orders on what to do next. 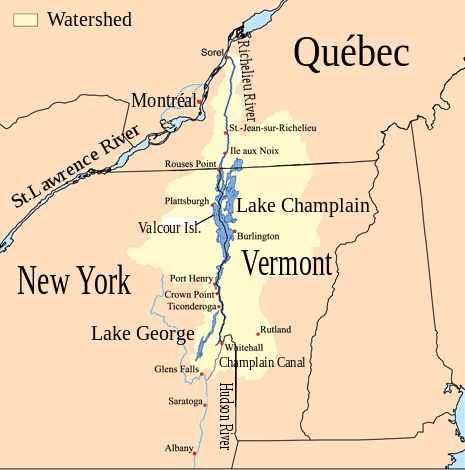 At one point, they ordered the patriots to retreat return the fort to the British, and abandon Lake Champlain. 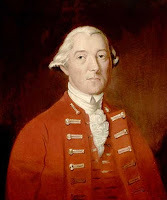 They also sent bureaucrats to audit Arnold’s expenses and a more junior Colonel, Benjamin Hinman to take command of the area with 1000 Connecticut Militia. Arnold ended up leaving in disgust and returning east to see about getting reimbursed for the personal money he spent to finance the campaign. Col. Hinman held command of the region for most of the summer. Unlike Arnold or Allen, Hinman was content to sit around and simply occupy the region. He made little effort to improve defenses, use the ships Arnold had captured, or do much of anything else. He spent most of his time complaining that he did not have enough money, food, supplies, or other resources to do anything. Unlike Arnold, Hinman was not inclined to spend his own money or use his own credit to get things done and then hope to be reimbursed later. If Hinman did not have the resources, nothing happened. 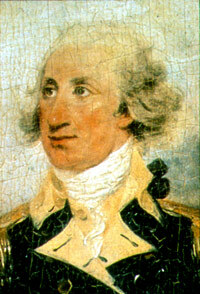 In June, Congress appointed Philip Schuyler of New York to command the region as a major general in the new Continental Army. Brigadier General Richard Montgomery served as his second in command. They would be tasked with organizing the military in New York. 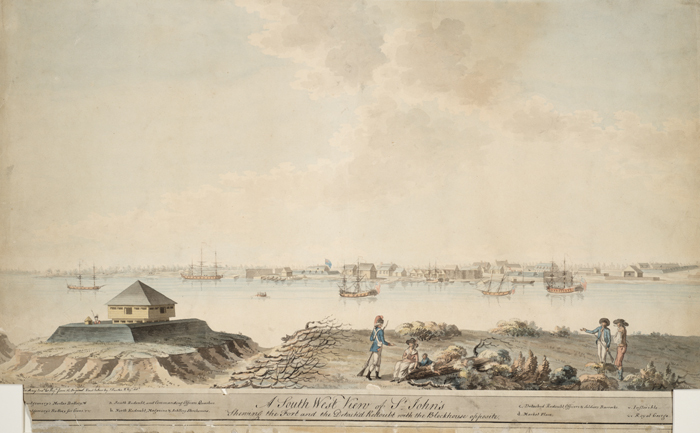 Schuyler came from a Dutch family that had lived in New York since before the colony was called New York. He was not an obvious choice for major general. He had no combat or command experience to speak of. During the French and Indian War, he has served as a quartermaster in the New York militia. At the outbreak of the Revolution, he held a colonelcy in the New York militia, but was mostly a politician. Schuyler had served for years in the New York Assembly while living a comfortable life as a wealthy gentleman farmer in upstate New York. He was also a committed patriot and was a NY Delegate to the Continental Congress at the time of his commission. His appointment may have had more to do with the fact that Congress wanted to include a New Yorker among the military leadership and Schuyler was the best they had at hand. After getting his commission in June, Major-General Schuyler headed out to Albany to take stock of things out there. He finally arrived at Fort Ticonderoga on July 18. What he found did not impress him. His first impression of the Fort was finding a single guard who did not properly confront him, and then left him alone while wandering off to find some other sleeping guards. Schuyler later commented that he could have taken down the guard and destroyed the Block House with a pen knife had he been so inclined. The fort commander, Col. Hinman who had by this time received a commission in the Continental Army, had done nothing to train his soldiers, improve fort defenses, or even keep the camp clean. At the same time, Schuyler learned that the British under General Carleton were hard at work improving defenses at St. Jean and also building two new sloops with which to conduct raids or possibly an invasion. Schuyler immediately set about whipping the army into shape and engaged the men in a ship building effort. The continentals built ten small gunboats, each capable of mounting one cannon and carrying about 30 men. These, along with the Enterprise and the Liberty which Arnold had left him, would constitute his invasion fleet for an assault on St. Jean. Schuyler did not hang around all summer to oversee the project. He sent Gen. Montgomery to Ticonderoga so he could return to Albany. There, Schuyler would negotiate to keep the Iroquois from joining with the British in the upcoming fight. He also to deal with a host of other military matters since he was responsible for all of New York. While Schuyler was not much of a combat officer, his pairing with Richard Montgomery helped to overcome that deficit. Montgomery came from a prominent family in Northern Ireland. His father, brother, and cousin had all served as officers on the British army and in the Irish Parliament. When the Seven Years War began, Montgomery’s father bought him a commission as an ensign. In 1758, Ensign Montgomery led an assault force at Louisburg, landing his men in ships under fire from the French. Impressed with his action in battle, his commander gave him a field promotion to Lieutenant. Montgomery participated in the successful British assault against the French at Ticonderoga a month later. He then participated in a series of combat missions resulting in the capture of Montreal. After the fall of French Canada, Montgomery deployed the Caribbean where he saw more combat. He return to New York after the war in time to play a role in Pontiac’s Rebellion. Promoted to captain, Montgomery returned to London after the war, to recruit for his regiment. There, he hung out with radical whigs like Isaac Barre and Edmund Burke. He also got engaged to a girl from a prominent British family. Then, in 1771, his life took an interesting turn. His fiance had cheated on him and they broke off the marriage plans. He also got passed over for a promotion. Montgomery sold his commission, and moved back to New York. There, he would become a gentleman farmer. He bought a farm a few miles north of New York City. He also got reacquainted with a young girl named Janet Livingston, from the wealthy New York patriot Livingston family. The two soon married and settled down. Montgomery became a moderate patriot, serving in the New York Provincial Congress. Based on his military experience, the Continental Congress commissioned him a brigadier general, though it appears he accepted reluctantly. Once he accepted though, he threw his full effort into the job and began working with Gen. Schuyler on plans to invade Canada from New York. In late August, Montgomery grew concerned that the British would soon launch the two ships they were building at St. Jean and use them to attack Ticonderoga. Rather than wait for an attack, Montgomery took about 1000 men up Lake Champlain in his small makeshift fleet to attack the enemy. Schuyler returned to Fort Ticonderoga a few days after Montgomery left, with 800 reinforcements and some field artillery. Schuyler rushed up the lake to catch up with Montgomery, leaving his reinforcements to make their way a few days later. They established a base of operations at Île aux Noix, an island near the mouth of the Richelieu River, about 12 miles south of St. Jean. On September 6, 1000 Continentals landed on shore just below St. Jean. Schuyler had been in command, but a fever and bout of rheumatism forced him to turn over command to Montgomery. Although they had hoped to surprise the British at St. Jean, Montgomery led his men into an ambush of about 100 Indians led by British officers. After a short firefight that left over a dozen dead or wounded on each side, the Indians withdrew back to St. Jean. Realizing that he had lost the element of surprise, Montgomery also withdrew back to his landing point. There, the patriots received intelligence from a local that the British would be ready to launch one of their new ships, named the Royal Savage, within days, and that the British had also spent the last couple of months building up defenses at the Fort. After a council of war, Schuyler and Montgomery fall back to Île aux Noix and awaited the 800 reinforcements and artillery before assaulting the fort. There, they built a blockade across the river to prevent the British from running their new ship past the patriot forces and onto Lake Champlain. By September 10, the reinforcements had arrived and Montgomery prepared to lead a combined force of about 1700 men against Fort St. Jean. Montgomery divided his force into two columns, and launched a night raid. He hoped to hit the British defenders at night from two different directions. Unfortunately, his inexperienced officers and men were not capable of such a maneuver. The two columns ran into each other in the dark and began firing on one another. This alerted the British who also began firing with grapeshot from entrenched positions at the two columns. The confused and frightened Continentals fell back almost immediately and fled the field. Montgomery hoped to attempt another assault the following day, but his troops refused. They feared the Royal Savage would launch and get down river before they could stop it. Montgomery thought this was simply an excuse to retreat out of fear. He attempted to rally the men. They would have none of it though. Montgomery finally accepted they would not attack. He later attempted to court martial some of the soldiers for refusing to obey orders, but they refused to testify against one another and the charges never stuck. After a few days at Île aux Noix and no sign of the Royal Savage, Montgomery finally convinced his army to make another attempt on the fort. The British sent a scouting ship down river and ran into the patriot base camp. A lucky cannon shot sank the small British boat with all aboard. This helped raise spirits for another attack. Terrible thunderstorms delayed the third attempt until September 16. When the weather cleared, Schuyler was still too sick. He returned to Fort Ticonderoga and left Montgomery to lead the attack. The delay gave the British time to reinforce their position as well. Gen. Carleton only had about 600 regulars in all of Canada. During the first two assaults, he had only about 200 regulars at Fort. St. Jean, along with 100 Indians and a few artillery. After the first attacks, Carleton went all in to defend the fort. He sent almost all his regulars, along with nearly 200 local militia, bringing the total number of defenders to about 750. He deployed another 83 regulars just north at Fort Chambly to cover a possible retreat. The commanding officer at Fort St. Jean was Major Charles Preston, who had once been Montgomery’s commanding officer in the Regular army. Schuyler continued to send reinforcements for Montgomery, but illness had reduced his fit for duty force to about 1400. Both sides had hoped to recruit more Canadians to their side, but the locals were reluctant to commit to either side. On September 18th Montgomery deployed his main forces on the south side of the Fort, while sending a smaller force of 134 men under Maj. Jean Brown to the north to block any retreat or prevent any supplies from reaching the Fort. Brown almost immediately discovered a supply train of eight wagons about to enter the Fort and attacked. Inside the fort, Preston saw his supply train come under attack and deployed 200 regulars from the Fort to attack the attackers. Brown’s men began to flee, only to run into Montgomery. He was leading 500 soldiers toward the sound of gunfire. Montgomery’s force now took the offensive against the 200 regulars who had to retreat back to the fort. The British had to give up their wagons, but mostly escaped back to the safety of the Fort. When Montgomery’s men came within range the fort opened up on them with its artillery, forcing them to take cover. Montgomery’s forces entrenched all around the fort. They had a larger force, but did not have enough artillery to take down the fort walls. Both sides settled into a waiting game. Preston hoped that Gen. Carleton could raise more Canadians to form a relief force. Montgomery waited for Schuyler to find more cannons to send to him to take down the fort walls. As the two sides settled into their siege, Montgomery made use of the Green Mountain Boys, whom Schuyler had sent to the field to be of assistance. The Boys were now under the command of Lt. Col. Seth Warner, who had been Ethan Allen’s second in command during the assault on Fort Ticonderoga. The Boys had decided to ditch Allen for Warner after Allen’s reckless assault on Fort St. Jean back in May almost got them all killed or captured. Allen, however, remained with the group as a volunteer scout. 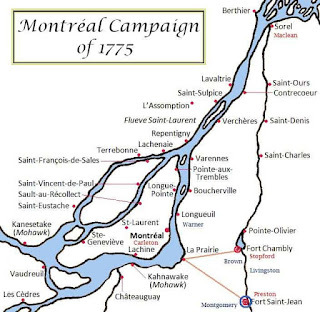 On September 21, three days into the Siege, Montgomery deployed Warner and his men to move north and capture two outposts near Montreal: La Prairie and Longueuil, about 25 miles north of St. Jean. From there, the Patriots could monitor any attempts to send reinforcements to St. Jean. Allen tagged along with the Green Mountain Boys, but decided to act on his own. He somehow got it into his head that he could almost single handedly capture Montreal and make himself, once again, the conquering hero. Allen collected about 110 volunteers. He appears to have felt confident that the local Canadians in Montreal would rise up and join him as soon as he began his assault. Allen also later claimed he expected part of Warner’s force under Major Brown to join in on the assault, though Brown stated later that he never had any idea of what Allen was planning. On the night of September 24, Allen crossed the St. Lawrence River, landing just north of Montreal. Even though he only had 110 men, he only had a few canoes to make the crossing meaning multiple crossing took most of the night. Early the next morning, a force of about 40 British Regulars, more than 400 Canadian militia, and a few Indians, came after Allen’s men. His volunteers almost immediately broke and ran, but with only a few canoes, only a small number escaped. Allen and about two dozen volunteers stood and fought against the nearly 500 attackers, who quickly overwhelmed them. Allen finally turned over his sword and surrendered. As soon as he handed his sword to a British officer, an Indian attacked him. Allen grabbed the officer and used him as a human shield to fend off the Indian attack until some Canadians got the attacker under control. As a prominent prisoner of war, the British shipped Allen back to Britain, presumably for trial as a traitor. He spent most of the next year aboard prison ships. Fortunately, for Allen, the Patriots had captured several prominent British officers by this time. 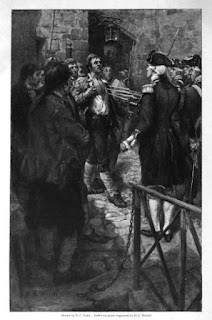 They threatened that if the British executed Allen, the Americans would execute an officer of equal rank in retaliation. King George decreed that rather than try him for treason, he should be held as a prisoner of war. The British shipped him back to British controlled America, where he spent another two years in captivity. Finally, in 1778 Allen would be traded for a British Colonel. Although Allen was captured, Warner successfully held the outposts just outside Montreal. By October, 1775 Gen. Schuyler also succeeded in getting several cannons to Montgomery so that he could begin lobing larger shells into Fort St. Jean. They were also able to sink the Royal Savage before it ever left port. Still, there were not enough continentals to break the siege. While waiting out the siege at St. Jean, Montgomery deployed another force under James Livingston, a local farmer who also happened to be a relative of Montgomery’s wife, and who was able to raise several hundred militia in favor of the patriots. Livingston acquired two cannons from the patriots and floated them downriver to attack the 83 man British outpost at Fort Chambly. After a two day bombardment, the British commander surrendered, most importantly without destroying his munitions or supplies. The patriots captured about 120 barrels of gunpowder, as well as a large supply of arms and food. By the end of November, Gen. Carleton had assembled a force of nearly 1000 men, mostly militia from throughout Canada. He planned to crush Warner’s outpost just outside Montreal, then move upriver to relieve the Regulars at St. Jean. It did not go as planned though. When the 1000 militia attacked Warner’s outpost of less than 200 men on October 30, they were met with cannon fire, from artillery Warner had taken from the captured Fort Chambly. Most of the militia broke and ran, leaving frustrated British officers to retreat from the field. There would be no relief force for St. Jean. In late October, the patriots received another 500 reinforcements under Gen. David Wooster. Although battle casualties were light during the siege, the Patriots had lost hundreds of men to illness over the two month siege. On Nov. 1, Montgomery sent a British soldier under a flag of truce into speak with Major Preston and ask for surrender. The soldier had been part of the relief force meant to relieve St. Jean. Suspecting a trick, Preston sent his Captain and several other officers to meet with Montgomery. 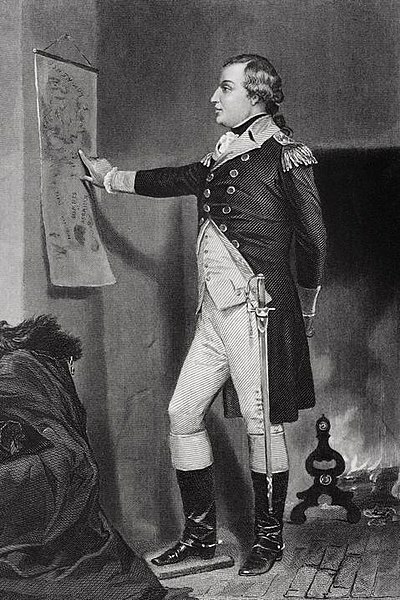 Montgomery allowed the British officers, who included a young Lieutenant named John André, to speak with several other prisoners from the relief force and convinced him that this was no trick. St. Jean would not be relieved. Finally convinced, on November 3, Preston surrendered Fort St. Jean. Over 500 Regulars and another 100 Militia became prisoners of war. With St. Jean captured, Carleton pull back with his few remaining soldiers, abandoning Montreal and retreating to Quebec. Montgomery marched into Montreal unopposed on November 13. The patriots captured his fleet along the river. Carleton was forced to don civilian clothes and pretend to be a French Canadian in order to make his way through enemy lines and return to Quebec. The Patriots celebrated the fall of St. Jean and Montreal as an important victory. Congress promoted Montgomery to major general, though (spoiler alert) he would die before he received news of the promotion. 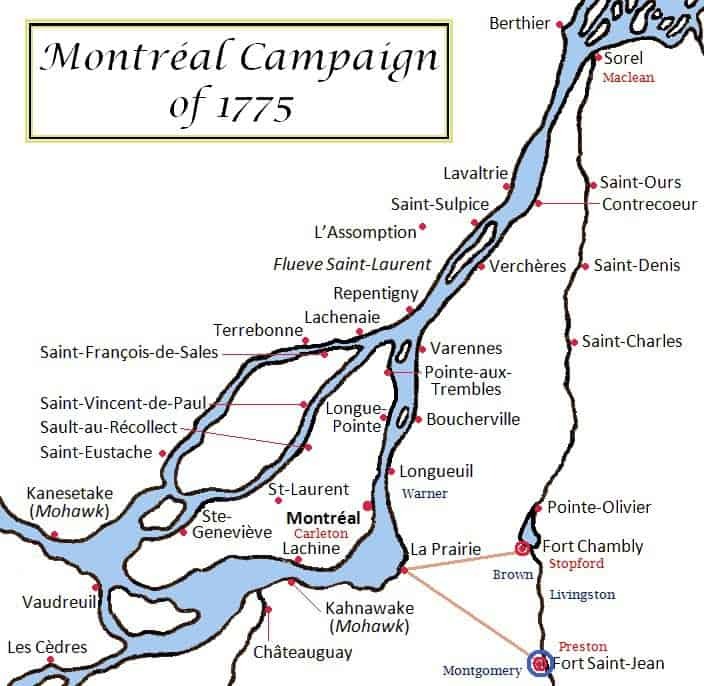 The Capture of Montreal opened up the path for an assault on Quebec, which would mean the fall of British Canada. Visit http://www.amrevpodcast.com for a list of all episodes. Visit https://pod.amrevpodcast.com for free downloads of all podcast episodes. Allen, Ethan A narrative of Colonel Ethan Allen's Captivity, Washington: H. Johnson & Co. 1838 (First written in 1779). Caldwell, Henry The Invasion of Canada in 1775, Quebec: Literary and Historical Society of Quebec, 1887. Chipman, Daniel Memoir of Seth Warner, Middlebury: L.W. Clarke, 1848 (Also in the same volume is The Life of Ethan Allen by Jared Sparks). Cullum, George Biographical sketch of Major-General Richard Montgomery, [Publisher unknown], 1876. Force, Peter American Archives, Series 4, Vol 2, Washington: M. St. Clair Clarke & Peter Force, 1837. Kingsford, William The History of Canada, Toronto: Rowsell & Hutchison, 1887. Lossing, Benson The Life and Times of Philip Schuyler Vol 1, and Vol 2, New York: Sheldon & Co. 1872-73. Smith, Justin Our Struggle for the Fourteenth Colony: Canada, and the American Revolution, Vol. 1, New York: G.P. Putnam’s Sons, 1907. Sparks, Jared American Biography, Vol. 2, New York: Harper & Brothers, 1902 (Includes Life of Richard Montgomery, by Richard Armstrong). Tuckerman, Bayard Life of General Philip Schuyler, 1733-1804, New York: Dodd, Mead & Co. 1903. Beck, Derek The War Before Independence: 1775-1776, Naperville, Ill: Sourcebooks, 2016. Phillips, Kevin 1775: A Good Year for Revolution, New York: Viking Penguin, 2012. Randall, Willard Ethan Allen: His Life and Times, New York: W.W. Norton & Co.1992. Shelton, Richard General Richard Montgomery and the American Revolution: From Redcoat to Rebel, New York: NYU Press, 1994.